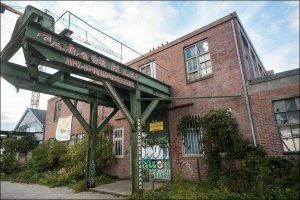 On Friday first of February, the Mobiele Eenheid left Gedempt Hamerkanaal 86 and the adjoining Spijkerkade 2 following an eviction ruling from civil court proceedings. Six people have been made homeless and Amsterdam has lost yet another non-commercial social space. 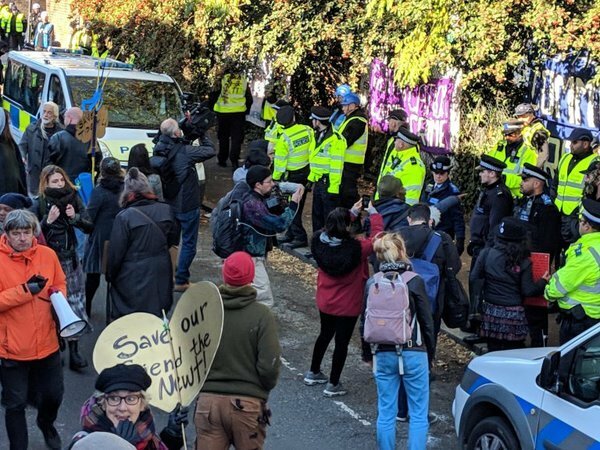 The original eviction verdict was made on the basis of the property owner’s supposed plan to begin renovation works on the building for the purposes of building a hotel. Though the owner has a permit from 2013 – prior to the city’s policy not to build more hotels – he has taken no further steps since this time, nor did he present any concrete plans or contracts in court demonstrating this intent. The contention of Mobiele Eenheid was that the owner has been speculating on the property for the more than 12 years in which it has largely been empty, since it was last squatted in 2006. We went to the City Council to talk about empty buildings, the shrinking of free spaces, speculation and Amsterdam’s tendency to keep prioritizing projects that the city doesn’t need. Like, for instance, more hotels. 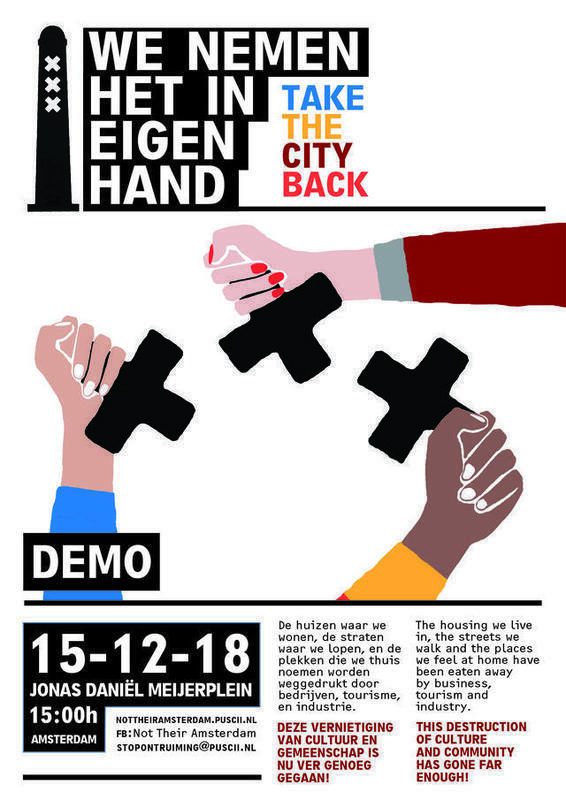 Amsterdam: 15 december, demonstration against the eviction of Amsterdam! Amsterdam: De Mobiele Eenheid goes to court! 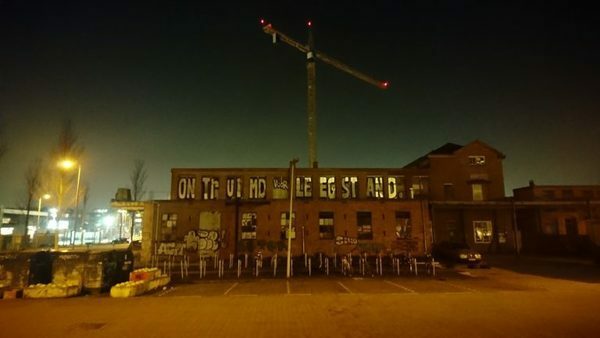 Three weeks ago, the collective De Mobiele Eenheid squatted the building Gedempt Hamerkanaal 86, Spijkerkade 2 in Amsterdam Noord. To counteract the commercialisation, mass-tourism and precarious housing market, we have created a social centre offering a weekly program. 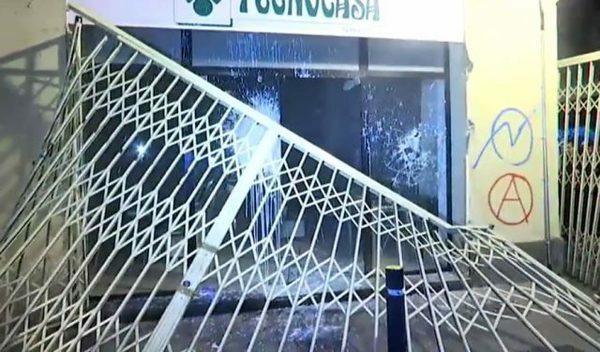 Soon after the building’s occupation in opposition to an all-encompassing property-based violence, the end is near. 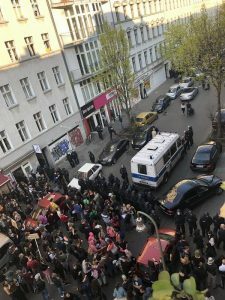 Following dangerous threats, the owner of the building is summoning the collective to court, based on his supposed plan to turn the building into a hotel. Amsterdam contains a disproportionate number of hotels and is completely over-crowded. The hotel stop decreed by the previous city government, is hardly noticeable. But the owner in question, a diamond merchant and property speculator, knows that real diamonds nowadays have two legs, arrive in Schiphol and pull wheelie bags. 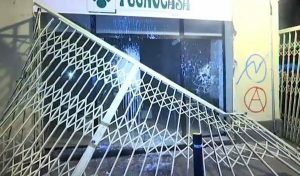 Thursday September 27, the windows of estate agency Tecnocasa in Vallekas were shattered. The agency was also covered in paint. This action aims to encourage the comrades of the CSOA La Gatonera (Carabanchel-Madrid) and Ka La Trava (Gràcia-Barcelona), as well as all the people who struggle in defence of squats as a revolutionary tool. Neighbourhoods are being transformed by capitalist speculation, gentrification being a tightening of screws in a cyclical process that affects all the cities of the world. Real estate agencies and other capitalist entities such as banks and speculators are responsible. Let’s spread the attack against them and build bridges based on solidarity and attack. 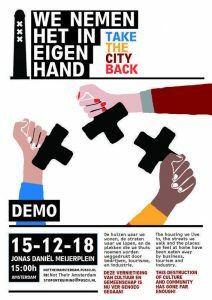 Today, the Mobiele Eenheid, a collective of involved Amsterdammers, occupied the old Gedempt Hamerkanaal 86. The building has been empty for over a year without any concrete plans for use in the near future. We plan to transform this badly maintained building into a non-commercial social center; a space by and for people to come together, exchange ideas and skills, work collectively and actively influence the developments in the city.